CVi staff have had a busy summer with 17 new installation sites and 7 clients upgrading and/or expanding their existing systems. It all started in May with Richard and Scott installing 4 new cameras at Viterbo University in La Crosse, WI and replacing their old ISR server with the new discrete, multi-department VALT server/software for their Counselor Education and Nursing Programs. In June, Nate and Scott installed a new CORS systems in both Meridian and Pocatello for Idaho Stat e University Speech & Hearing Clinics, while Greg tripped to New York to expand the CUNY Lehman College Speech & Hearing Clinic and NYU Steinhardt multi-department CORS systems. The upgrade and expansion of the multi-department system at the University of Alabama, Tuscaloosa in June saw just about everyone getting on the CVi bandwagon with CORS installed in 7 different departments and colleges across the university campus, including the Autism Spectrum Disorders Clinic, the College of Community Health Sciences, the College of Human Environmental S ciences Child Development Research Center, the Department of Communicative Disorders – Speech and Hearing Center, the Counselor Education Center, the College of Communication & Information Sciences – Institute For Communication & Information Research, and the Psychology Clinic. That was a very busy 10-day job – with 37 new cameras and 37 existing cameras to install/integrate and 7 departments to complete their individual systems set-up and training! A little overtime was necessary! This was quickly followed by an expansion of the CORS at Grace Harbour, Inc, Behavioral Health Clinic in Peachtree City, Georgia. July saw Nate and Greg installing the CORS solution at the University of Maryland for their Psychology/Counselor Clinic. Then they moved on to Southern Connecticut Uni versity located in New Haven where the duo installed CORS for the Clinical Mental Health Program. It was off to Southern Illinois University at Edwardsville for Greg where he installed a new server and trained the faculty in the new VALT software, followed by both Nate and Greg travelling to Western Kentucky University in Bowling Green f or a CORS install at WKU’s Communications Disorders Clinic. Talk about switching directions! We circled back to Idaho in August and stopped at Idah o State University in Pocatello where another CORS was installed for the Psychology Department Clinic. Followed by Baylor University in Waco, Texas expanding their CORS in their Speech & Hearing Center. What would summer vacation be without a trip to our nation’s capital? Our team made the trip in late August to the University of the District of Columbia to install and upgrade their CORS for a multi-department application for the Division of Education, Health & Social Work Counselling Clinic and the Speech & Hearing Clinic. 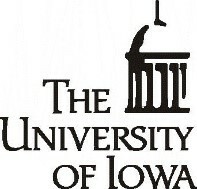 We wrapped August up with the University of Iowa, Iowa City also expanding their CORS to include their Music Therapy Department. Now that was a busy Summer! Our team won’t have too much time to relax as we transition into the Fall and Winter. We are contracted to install or upgrade CORS on many campuses in the coming months. Armstrong State University in Savannah, GA has contracted with CVi to relocate and expand their CORS to their new Rite Care Center in September. CVi is scheduled to visit Arizona State University in Phoenix to expand their CORS for the Speech-Language-Hearing Clinic in October. The Indiana University Medical Center Riley Child Development Center in Indianapolis has asked CVi for a CORS installation also in October. October is also the month our intrepid CVi team is scheduled install CORS for Murray State University in Murray, Kentucky for their Center for Communication Disorders. Purdue University Northwest in Hammond, Indiana has scheduled the CORS installation in November for their new Couples and Family Therapy Center over Thanksgiving. Sacramento State University has contracted CVi to install a large CORS in the new Mary Jane Rees Lang uage and Speech and Hearing Center in late November. The building is currently being renovated. Don’t let this whirlwind of activity dissuade you, there’s still room on the CVi schedule to complete more installations of CORS this Fall and Winter. Scheduling an installation now can have a new CORS solution ready for use on your campus in time for the start of the second semester. Give Richard a call at 262-569-1986. He’ll be eager to help you find the perfect solution for your training needs.